More than ever, brands drive business—making them one of the most valuables assets an organization can own. With brand assets spread across both the physical and digital worlds, protecting them is more challenging than ever. In the complex, rapidly growing and highly dynamic digital world, brand abuse has greater impact—and the tactics employed by infringers change as quickly as the environment itself. The abuses come from organized and sophisticated malefactors with global reach; as a result, brand protection strategies must continually evolve if they are to keep brands safe. Some threats are common to certain industry categories. Consumer goods manufacturers face counterfeiting challenges, digital goods producers face piracy and all organizations face IP and trademark infringement issues. Rapid-growth, global enterprises tend to have more domain management issues and fewer internal resources available to cope with them. Despite these similarities, each brand is unique and will require an online brand protection strategy unlike any other. Legal’s strategic role. Brand abuse online significantly affects virtually every aspect of the business—and directly impacts revenues. While both the opportunity and responsibility for protecting the brand span the organization, the legal team, already focused on enforcing brandholder rights, can and should bring together all the affected business units, set up crucial defenses and take enforcement action when the inevitable abuses are discovered. Identify and act against the most important brand infringement. Legal departments can only achieve this by identifying abuses and judiciously enforcing brandholder rights across the Internet. To succeed, legal teams need truly global visibility within the digital world: what’s happening in popular marketplaces and exchanges, where rogue websites are appearing and how the brand is used in paid search and within social media. With this level of visibility and intelligence, legal teams can prioritize detected abuses and enforce selectively for maximum brand protection impact. Optimize global domain portfolio management. Maintaining a global domain portfolio is complex. Goals include maximizing visibility and control over domain names with a “right-sized” approach to portfolio management that balances control with cost and effort. Successful strategies usually involve centralizing registration, streamlining processes and proactively managing the brand’s online presence. Work smart. Finding the right balance in enforcement—keeping it cost-effective by prioritizing intelligently and enforcing selectively—is critical. Almost every legal team will benefit from outside expertise (and, for some, additional bandwidth) from third-party resources. This enables internal legal teams to leverage proven strategies, best practices, and mature tools complete with case management and evidence archival capabilities. expose and thwart web traffic interception schemes such as paid search scams and cybersquatting. 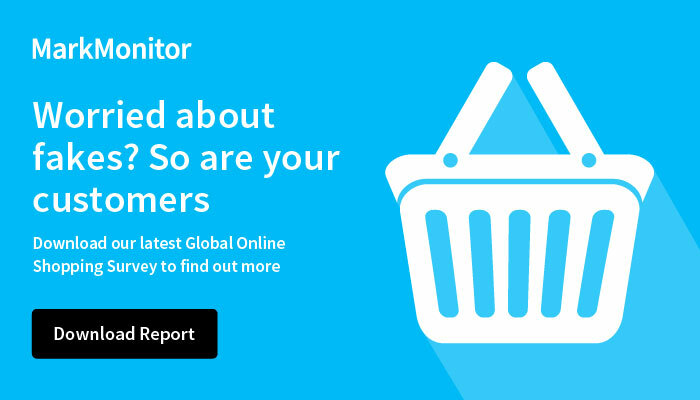 Founded by IP lawyers who saw the growing need for protecting intellectual property rights online, MarkMonitor was the first global brand protection provider and remains the industry leader. Gained from years of experience, MarkMonitor has developed powerful insights into the nature of brand abuse and unrivalled methodologies to combat abuse most effectively. The world’s leading brands rely upon MarkMonitor.